Despite fears of an anti-Christmas jihad, many ordinary Muslims enjoy getting into the spirit of the season. Chérif Chekatt, the Strasbourg-born man named as the mass shooter at the city’s beautiful Christmas market killed two, left one victim brain dead and wounded a dozen others. He also reportedly yelled out ‘Allahu Akbar’, which is Arabic for ‘God is Greatest’, during the attack. If the theory proves accurate that this former criminal, whom French police say was radicalised in prison, was motivated by Islamic extremism, then the target chosen by this ‘gangster jihadi’ has its own twisted logic. Not only is a festive market a soft and hard-to-protect location, it is also hugely symbolic because jihadis believe they are engaged in a religious war with ‘Christendom’ and Christmas is the most important, or at least the most joyous, holiday in the Christian calendar. This helps explain why this is not the first time that a Christmas market has been targeted by Islamist terrorists. Previous attempts include a foiled plot to bomb the Strasbourg market in 2000 and the truck-ramming at the Christmas market in Berlin in 2016, carried out by criminal-turned-extremist Anis Amri. Chérif Chekatt, it would appear, is part of the armed wing of the wider cultural ‘War on Christmas’, which Western conservatives believe is being waged by Muslims, in collusion with leftists and self-hating liberals. But do Muslims really hate Christmas and wish to abolish or even to destroy it? To be sure, ultra-conservative Scrooges and grouches are so set against Christians and Christmas that they refuse even to wish their Christian neighbours and acquaintances a merry Christmas. However, many other conservative Muslims who believe that they should not celebrate or take part in Christmas festivities because they disapprove of the Christian creed that Jesus is the Son of God still wish their colleagues, friends and neighbours ‘Merry Christmas’. Beyond the rigid conservative edges, tonnes of Muslims do Christmas – and see no contradiction between it and their deep reverence for Jesus. 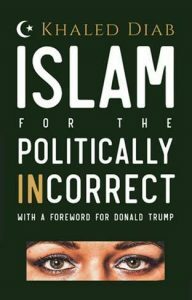 In fact, if my experience is anything to go by, there were almost certainly Muslims wandering around the Strasbourg market – I have barely been to a Christmas market in Europe in which I have not come across Muslims enjoying the delights on display and the warm lighting illuminating the winter’s darkness. Away from the markets and TV screens, most western Muslims do not mark or celebrate Christmas at home. However, some do. When I was a child growing up in London, my mother, not wishing us to feel left out and wanting to raise our awareness and tolerance of others, allowed us to put up decoration and write Christmas cards, gave our teachers gifts, and even experimented with baking an entire turkey on at least one occasion. As an atheistic adult married to a non-Muslim, I am pleased to watch our son have fun over Christmas. In fact, with how much Christmas has been secularised and transformed into an entertainment spectacle, it is easily my son’s favourite ‘religious’ festival. The same goes for some of our Tunisian friends who, despite not being Christian nor living in a Christian-majority country, like to get into the festive mood with a Christmas tree or visit one of the numerous Christmas markets taking place in December. 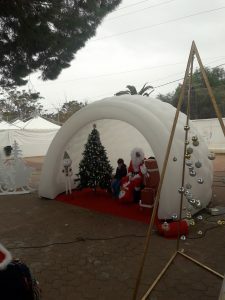 Xmas at my son’s school in Tunis. In fact, a few hours before writing this piece, we attended the Christmas market at my son’s school, where more than 90% of those in attendance were Muslim. Even Father Christmas, with his long beard, was being played by a Muslim, or someone who looked remarkably like the father of one of my son’s friends. In keeping with the mood of the occasion, one mother had colour-coordinated her hijab to match the wobbly reindeer’s antlers on her head. 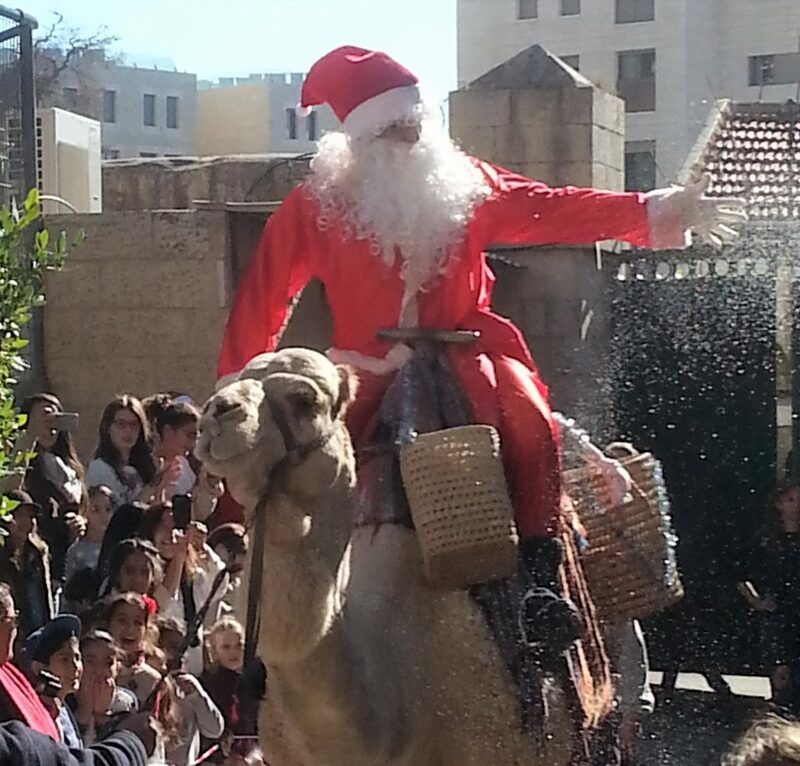 In Jerusalem, where I lived prior to moving to Tunisia, Christmas lasts a very long time, and Father Christmas sometimes arrives riding a camel. There, one is treated to a month of Christmases: Western (25 December), Eastern and Orthodox (7 January) and Jerusalem Armenian (19 January). Many of those coming to view the tree on Bethlehem’s Manger Square or to enter the Church of the Nativity, where Jesus is believed to have been born, are Muslims. When I see what a big deal Christmas can be in some parts of the Arab and Muslim world, I find fears about the death of the festival in Europe or America rather bemusing and bewildering. I understand that rapid change can be troubling and that the presence of significant numbers of Muslims in societies where there was barely any a few generations ago can cause anxiety. But Europeans should not allow the actions of a few violent extremists to blacken their view. There are plenty of Muslims who exist beyond the headlines, out in the murky no-news zones of Greyville, who live in peace with their Christian neighbours and share their sense of Christmas cheer. This article was first published by The New Arab on 13 December 2018.